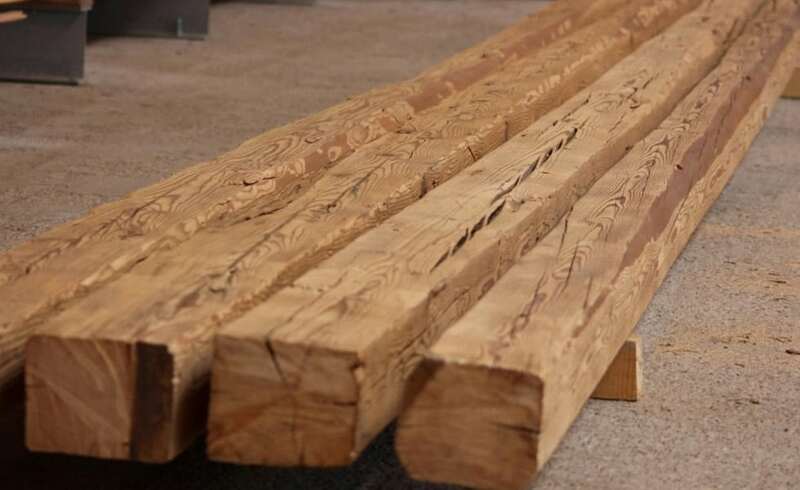 Our antique beams, Type B3, come with a hand-hewn surface, are kiln-dried (heat treatment against pest infestation), brushed and ready to mount. Beams and rafters s from solid oak can be found here. Our reclaimed hand-hewn beams have been carved from tree trunks using a traditional broadax. The traces of the ax have created a unique surface which varies depending on the light. Warm shades of light to dark brown have developed on the surface over the years due to the natural weahtering.